Golden Girl in Fargo ND - Dalbol Flowers & Gifts, Inc. 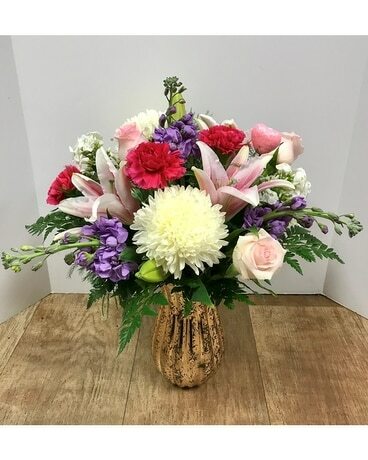 This dazzling gold vase is loaded with a fragrant combination of pink oriental lilies, phlox, stock, carnations, roses, and football mums. What more could you want on Valentine's Day than a little bit of everything? !